Every year, Switzerland exports almost as many cigarettes as it does chocolate. Exclusive tests show that the tobacco industry has double standards: cigarettes sold in Africa are more toxic than those smoked in Europe. The investigation context explained in less than 3 minutes, by the author Marie Maurisse. We see the same phrase everywhere during out stay in Morocco in mid-October 2018. From the former Medina to the city’s schools, as well as in cafes and restaurants. Everywhere, we see men, women and teenagers smoking cigarettes that have been made in Switzerland. They are always the same – Winston, Camel and Marlboro. Ibtissam, a young woman sitting on the terrace in front of the Le Noble café in Maarif, a shopping district, puts out her cigarette stub in the ashtray before returning to work. “I started when I was 12 and I don’t want to stop” she explains. “For me, it’s a form of freedom”. Does she know that she’s smoking Swiss cigarettes? “Of course. For me that’s a sign of quality – they’re better than the Moroccan ones.” she responds. Switzerland often promotes the fact that it exports its delicious chocolate, or prestigious watches, to the world. Yet there is another Swiss product that is just as successful, but far less vaunted: cigarettes. In 2016, Switzerland produced 34.6 billion cigarettes – nearly two billion packets. Some 25% were sold on the domestic market. Nearly 75% were exported, providing enough cigarettes for over four million people to smoke a packet a day over the year. Where are these cigarettes sold? Japan is destination number one. Could this take the form of Japan Tobacco International’s production, which is sent to the ‘Land of the Rising Sun’? When contacted, the firm did not give a specific answer to this question. Morocco and South Africa occupy second and third place on the podium. Philip Morris International (PMI) has set up its global operational headquarters in Lausanne. In addition, it has a factory in Neuchâtel, where in 2017 it produced over 15 billion cigarettes and heated tobacco units – 15% of the group’s global production, including brands Iqos Heets, Marlboro, Chesterfield and L&M. Philip Morris Products SA also has its headquarters in Neuchâtel. In 2017 its revenue was CHF 29 billion. Philip Morris International’s headquarters in Lausanne. In Switzerland, British American Tobacco (BAT) owns offices in Lausanne and a factory in Boncourt, bought from Rothmans in 1999, who had in turn bought it from the Burrus family three years earlier. At the factory, the brand produces Pall Mall, Gladstone, Dunhill, Lucky Strike, Kent, Winfield, Vogue, Players, Parisienne and Alain Delon. In 2017 its revenue was CHF 26 billion. British American Tobacco’s factory in Boncourt. Japan Tobacco International (JTI) is based in Geneva in a brand-new building. JTI also owns a large factory in the German-speaking part of Switzerland, in Dagmersellen, in the canton of Lucerne. In 2017, the Japanese company produced a total of 10.8 million cigarettes there, under 16 brands. The most widely distributed are Winston, Camel and Natural American Spirit. In 2017 its revenue was CHF 18 billion. Japan Tobacco International’s brand new office in Geneva. Marie Maurisse: "It&apos;s very difficult to investigate the tobacco industry because it&apos;s very secretive". In 2017, 2,900 tonnes of Swiss cigarettes were exported to Morocco, the equivalent of some 3.625 billion ‘ciggies’. In corner shops, packets are sold for 33 dirhams (CHF 3.50). The most frugal consumers buy individual cigarettes for 2 dirhams each. Packets are certified: they carry a SICPA stamp, the Swiss certification and authentication body. Until 2003, packets were produced on-site, at the Société Marocaine des Tabacs. Following the death of Hassan II, the Law 46.02 on the manufacture of tobacco was promulgated, liberalising the sector. International companies wasted little time in swooping into the market. Nowadays, 55% of the cigarettes smoked in Morocco are imported, most from Switzerland and then Turkey. The cigarettes arrive by boat at the port of Tanger Med, or even through ‘Casa’ (Casablanca). On-site, the people we spoke to assured us that customs officers inspect the goods – they open containers, choose a random carton and then check that the cargo complies with the submitted declaration. Nevertheless, one of our investigation’s overall observations was that only details related to the payment of taxes are checked – there are no measures to monitor the ingredients of cigarettes or their level of toxicity. 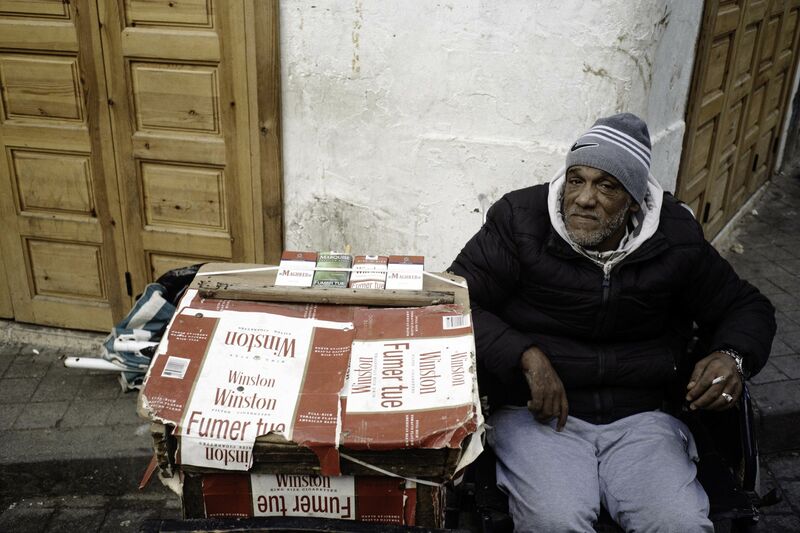 Globally, 80% of smokers live in low- or middle-income countries. 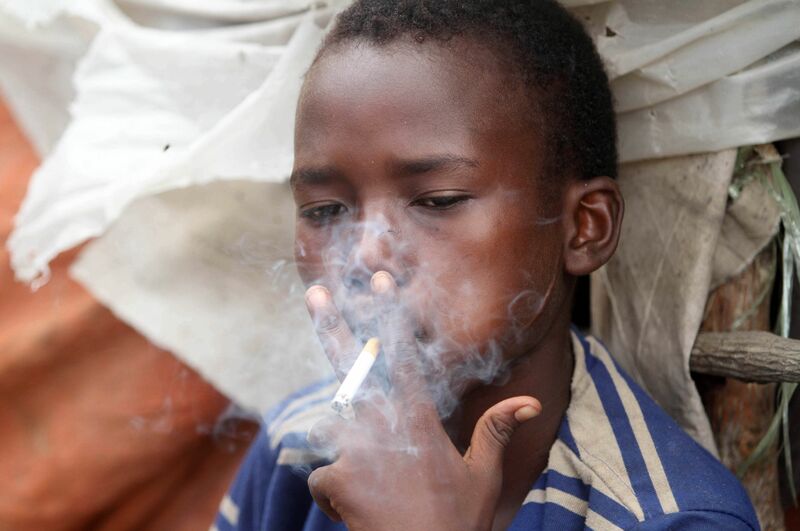 The WHO estimates that there are 77 million smokers in Africa, namely 6.5% of the continent’s population. The institution predicts that by 2025, the figure will rise by nearly 40% compared to 2010 – the steepest increase globally. The number of deaths on the continent will double by 2030 in what the WHO describes as an ‘epidemic’. 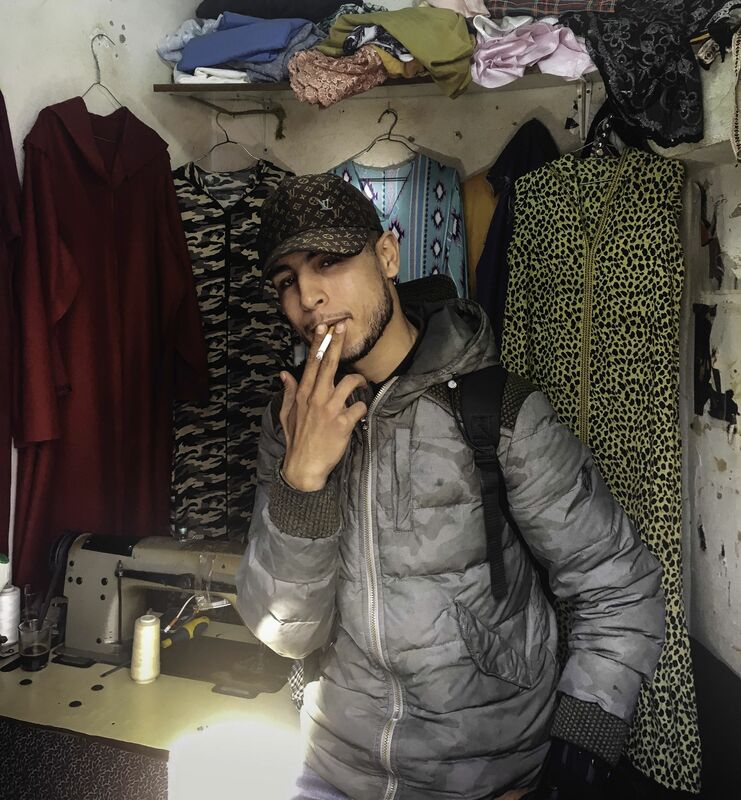 For the companies, Morocco appears to be an excellent gateway into these markets: according to a study carried out by the Moroccan Ministry of Health, 13% of smokers in the country are aged 15 and under. And the proportion of girls who smoke is starting to rival that of boys. In Europe we see an inverse trend. Over the past 20 years, tobacco sales have fallen by 38% thanks to preventative campaigns and price increases. That is why producers are increasingly pushing their new “reduced-risk products”, which supposedly provide consumers with nicotine without the harmful effects of tobacco. Nevertheless, the newspaper Le Temps recently noted for Philip Morris that “despite the significant resources mobilised, Iqos still only represents 6% of the group’s production volume and 12% of its revenue”. By waiting for Iqos and other gadgets that enable you to ‘smoke without smoking’ to bring in real revenue – a situation that may never materialise – Philip Morris International and its competitors have to continue to sell cigarettes. On a massive scale. Emerging markets are an attractive target, simply because their governments lack the resources to implement proactive health policies, leaving the companies’ path clear. Producers use very aggressive advertising campaigns to attract their new and young customers and to promote their cigarettes. In July 2017, British newspaper the Guardian revealed that in Kenya and Uganda, British American Tobacco is seeking to prevent the government from taking preventative measures against tobacco. In Kenya, KETCA, an alliance of NGOs in favour of regulating tobacco, has filed a complaint; the affair is currently in the hands of the Supreme Court. 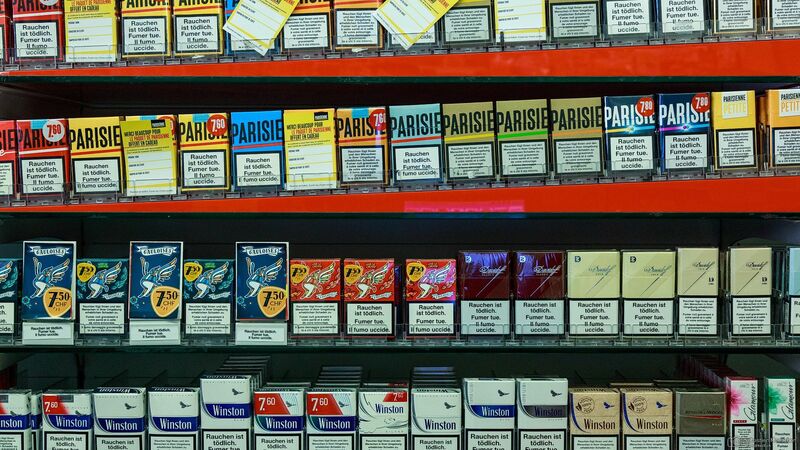 In Togo, Burkina Faso and Ethiopia, the same producer resorted to official letters to explain that plain packaging had not contributed to a drop in sales. In rich countries, including Switzerland, producers’ rhetoric is exactly the opposite – they’ve started denouncing the harmful effects of tobacco. To convince the public of its good intentions, Philip Morris International even helped to launch the Foundation for a Smoke-Free World, by committing to invest $80 million annually for a period of 12 years. The WHO denounces this significant semantic discrepancy: “Evidence shows that measures such as taxing tobacco, graphic warning pictures, a full ban on advertising and promotion of, patronage for and help to stop smoking, all serve to reduce demand for tobacco products. […] If Philip Morris International was truly committed to a smoke-free world, it would support such measures. Yet it opposes them. It engages in widespread lobbying and initiates lengthy and costly legal procedures against evidence-based anti-smoking policies.” The institution cited the example of arbitration between Philip Morris International and the Uruguayan government within the framework of the bilateral trade agreement between Switzerland and Uruguay. The tobacco giant spent $24 million on opposing the introduction of health warnings on cigarette packets in a country that has fewer than four million inhabitants. After a six-year legal battle, it lost. In Morocco, a law has indeed been adopted to ban smoking in bars and restaurants. However, we were told by a researcher at a specialist laboratory and an expert from Société Marocaine des Tabacs (both of whom requested to remain anonymous) that it is not applied. Preventative programmes in schools are a rarity and run by organisations with very small budgets. As for the cigarettes themselves, there is no regulation pertaining to their ingredients. In 2012, Morocco passed a law akin to European legislation, limiting the permissible levels of tar, nicotine and carbon monoxide. However, the decree implementing it was never promulgated and there is no laboratory to check the levels of these substances. As there’s never smoke without fire, we wanted to find out more about the content of cigarettes produced in Switzerland but sold in Morocco. We used an approach that is as far as we’re aware entirely innovative, undertaking a comparative study of the sulphur, nicotine and carbon monoxide content of cigarettes smoked in Europe and Morocco. It is not a simple task because there is no publicly available data on the matter. Admittedly, levels of substances are sometimes provided on the packaging, but it is unclear whether the levels are respected by producers. The ultimate question is whether Swiss cigarettes smoked in Morocco are the same as those sold in newsagents in Cointrin or in France. The only way to know for sure is to analyse samples. We were informed by Adrian Kay, the spokesperson of the Federal Office of Public Health (OFSP) that Switzerland has no “laboratory suitably equipped to carry out this task”. Yet, we did manage to find a laboratory able to undertake such an analysis: the Institute for Work and Health (IST) in Lausanne, a subsidiary of the CHUV (the Lausanne university hospital) which is part of the WTO’s network of certified laboratories. To respond to our request, Gregory Plateel, head of laboratories, and analyst Nicolas Concha-Lozano had to build their own smoking machine. The method they use is practically ‘hand-made’: three containers to hold the cigarettes, a pump for inhalation and a jar where part of the smoke is concentrated. Nothing is left to chance – the machine is controlled by a computer which extracts 35ml samples over two seconds every minute. To guarantee that the machine was correctly calibrated they started by testing a control cigarette “1R6F”. The control was an unbranded special sample for research laboratories provided by the University of Kentucky. Once the cigarette has been ‘smoked’ by the machine, the smoke and filter was analysed to record the rates of full particles of nicotine and carbon monoxide. A single cigarette is clearly not representative, therefore to obtain reliable data they used samples taken from three separate packets and calculated the average of the three values. It took the researchers several weeks to complete the process. Gregory Plateel and Nicolas Concha-Lozano analysed no fewer than 30 packets of cigarettes from Morocco, France and Switzerland, which we provided to them in September. Their methodology was aligned with ISO standards which serve as a point of reference for all researchers who undertake such tests. In Switzerland and Europe, the authorities introduced the standard 10-1-10, which sets the maximum levels of tar, nicotine and carbon monoxide that cigarettes sold on the Swiss or European market can contain, namely 10mg of tar, 1mg of nicotine and 10mg of carbon monoxide. The standard served as a reference point for the analysis of our samples. 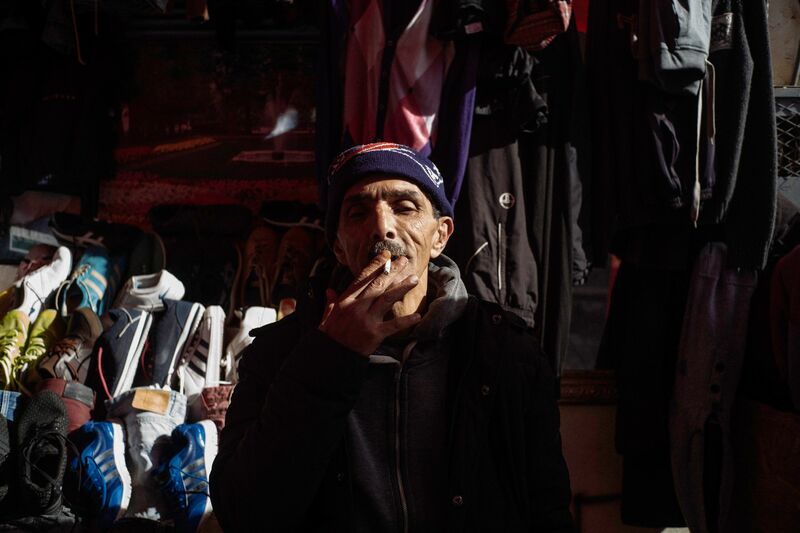 The results reveal a double standard – Moroccans smoke cigarettes that are more harmful than those smoked by Europeans. For each substance tested, nearly all cigarettes produced in Switzerland and consumed in Morocco contained levels higher than that found in Swiss and French cigarettes. A sample from a Winston cigarette, for example, contains over 16.31 milligrams of full particles per cigarette, in contrast to 10.5 for Winston Classics bought in Lausanne. In terms of levels of nicotine, the difference between the cigarettes sold in Morocco and Switzerland is particularly striking: according to IST’s results there are 1.28 miligrams per cigarette for ‘Swiss-made’ Camels sold in Morocco, in comparison to barely 0.75 miligrams in Camel Filters sold in Switzerland. In terms of carbon monoxide, which reduces the amount of oxygen in the blood, the level also differs greatly between Winston Blues smoked in Morocco (9.62 miligrams per cigarette) or Switzerland (5.45 miligrams). 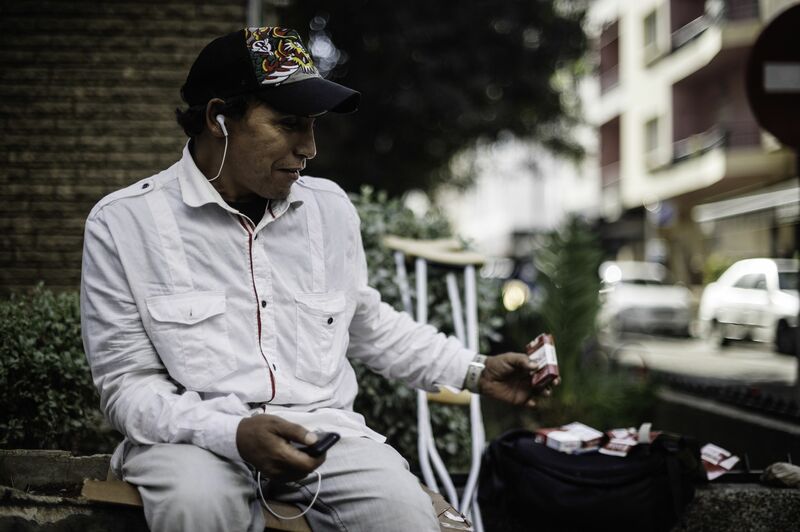 Despite the reassuring name, smoking Camel Lights in Casablanca means consuming cigarettes that are more harmful than the Camel Filters in Lausanne. Jacques Cornuz, director of the outpatient clinic at the University of Lausanne, who is an epidemiologist and tobacco specialist who led the Federal Commission for the Prevention of Smoking (CFPT) from 2007 to 2014. Presented with our results, he doesn’t beat around the bush, stating: “one could legitimately say that we’re moving from a 20 to a 40-tonne truck”. Japan Tobacco International, the producer of Winston and Camel cigarettes, gave the following clarification in response to our questions: “All products linked to tobacco are associated with health risks.” Therefore, “no standardised methodology can reproduce consumers’ true consumption habits”. The firm thus considers the results imprecise. Moreover, “no one can say that one cigarette is less toxic than another in terms of matters such as taste”. 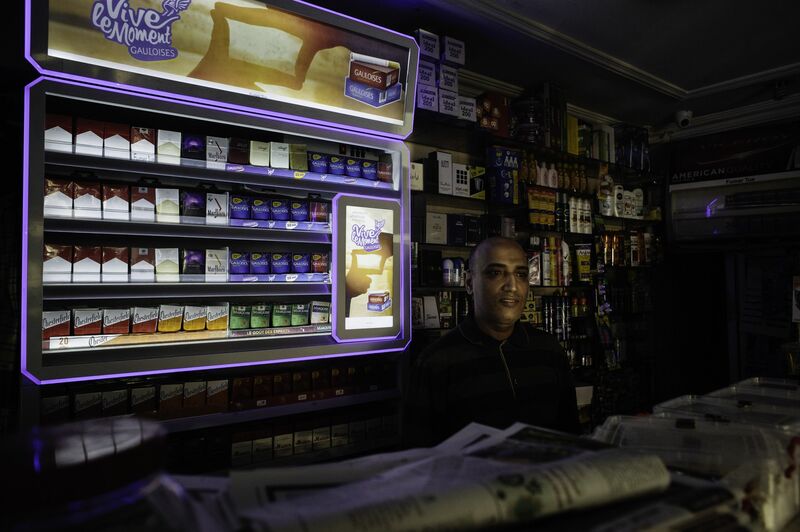 Why are cigarettes sold in Morocco stronger than others? The firm does not comment on this question. The press office at Philip Morris International states that “consumers around the world have different preferences. Tobacco is selected on the basis of these preferences according to the specific mixes and grades of leaves required to maintain consistency in the characteristics of each brand, like Marlboro Rouge. Why do Marlboros sold in Morocco contain more tar than those smoked in Switzerland? “We advise against focusing solely on tar content” the producer replies. There is scientific consensus that ‘tar’ is not a precise indicator of the risk or damage, and communicating ‘tar’ levels is misleading for consumers. As for the nicotine results, which were found to be higher than those stated on the packet, “they comply with the requirements of ISO 8243 which authorises a certain discrepancy”. Since Morocco, we examined the supply chain to understand how tobacco is produced, because Switzerland is home to the giants of the industry and allows these lower quality cigarettes to be exported to developing countries. We went to the only cigarette factory in the country whose director allowed us to enter: Koch & Gsell AG in Steinach. Located in an industrial area in the suburbs of St Gall, the company was set up in 2015 by Roger Koch, a 40-year-old from the German part of Switzerland, who previously owned a translation agency. Roger Koch, director of Koch & Gsell AG. He now produces 30,000 packets of cigarettes a week, a small proportion of which is exported; the majority are consumed in Switzerland. He sometimes receives visits from the authorities. Civil servants from various cantonal bodies come to examine the safety of the machines and his employees’ working conditions, and to check that the production process is not causing environmental damage. He also knows customs agents because they check that products are declared correctly and taxes are paid to the last centime. What about checks on the content of cigarettes however? “This had never been checked before last October. Then the food inspection authorities took several samples to analyse. But we never heard anything back, I imagine they mostly tested for CBD (cannabidiol)”. Part of Roger Koch’s production does in fact contain the cannabis compound. For tests on other substances, every month he sends some hundred cigarettes to the ASL laboratory in Germany. It is tasked with testing the level of tar, nicotine and carbon monoxide in line with the 10-1-10 standard introduced by the Swiss government. The federal decree on tobacco products stipulates that the following thresholds must be respected: “Anyone bringing cigarettes to market must be able to provide evidence that they comply with the applicable legal requirements”. In principle, cantons are tasked with verifying that this provision is respected. Do they manage to analyse cigarettes on the market? Or to ensure that producers are using legal ingredients, as is sometimes done with food distributors? The list of permitted ingredients published on the OFSP website allows Roger Koch to put tens of products in his cigarettes. He does not, he tells us, because there is no such freedom within the European Union. He is planning on building a factory in Germany, just a few kilometres from Steinach, to sell his Heimat cigarettes in the EU. The federal government in Berne is very reluctant to introduce stricter regulation. There is clearly no mystery as to why tobacco giants choose to be based in Switzerland. According to a KPMG report published in October 2017, the total income (direct, indirect and government revenue) provided by this industry is estimated at CHF 6.3 billion annually, equivalent to 1% of the country’s GDP. The sector provides some 11,500 direct jobs, offering employment to 0.2% of the working population. And that’s without counting indirect employment, such as tobacco farmers, linked to the sector. The tax revenue is significant – the topic is surrounded by secrecy, although at Neuchâtel there are rumours that Philip Morris International contributes over half of the canton’s private-sector tax revenue. Switzerland has more than one trick up its sleeve to seduce cigarette companies, but its particularly lax legislation is probably the best. Cigarettes and their content are regulated by the decree on tobacco products. According to the decree, authorised ingredients include all aromas from food products, sugar, honey, spices and all food sweeteners except two – sucralose and the salt of aspartame-acesulfame. It is possible to find a range of humectants, bleaching agents for the ash, combustion accelerators, preservatives and finally adhesive and binding agents. Pascal Diethelm adds that the decree does not contain a single provision pertaining to the protection of consumer health. Moreover, “data from toxicologists regarding the additives used with and without combustion should be indicated in so far as the person submitting the declaration is aware of them”. According to his analysis, the person submitting the declaration can simply state that they are not aware of the toxicological information for their ‘recipe’ to be authorised. By way of comparison, European regulations are far more restrictive. While Switzerland does not control the cigarettes smoked by its own residents, it is certainly not interested by those produced in the country and exported, the federal customs administration (AFD) confirmed. These are not subject to Swiss standards but rather those of importer countries. This contrasts to the European Union, where the Directive 2001/37/EC sets maximum allowable thresholds for tar, nicotine and carbon monoxide content on cigarettes destined for export. This provides Switzerland with a comparative advantage – it is the only country on the European continent that produces cigarettes more toxic than those smoked by its own residents. The Federation thus promotes and profits from the existence of a double standard, while also aggravating public health problems in importer countries. When asked about the topic, the Federal Office of Public Health explained the lack of controls on exports as the ‘will of parliament’. In 2012, a motion filed by Laurent Favre, member of the radical liberal party (PLR) of Neuchâtel, who has since become a state councillor for the same canton, demanded that “cigarettes produced in Switzerland continue to be allowed to be exported without restriction to states that are not members of the European Union”. The motion was approved. As we observed in Casablanca, Morocco does not control the ingredients of Winston and Camel cigarettes imported from Switzerland. Customs officers limit themselves to checking cargo from a fiscal standpoint. The Moroccan case is a one-off: it is rare for countries to have a laboratory that can systematically analyse imported cigarettes. According to the WTO, Burkina Faso is the only other country in Africa to do so. Even when there are controls in place, the rules can be biased: in France, the national anti-smoking committee recently filed a complaint against producers accusing them of falsifying tests by placing micro-holes in filters so that the levels of substances they contained appeared lower when measured by the machine than they are when a smoker takes a drag on a cigarette while compressing the filter with their fingers… this is one possibility, rightly noted by Roger Koch. The modus operandi recalls the Volkswagen emissions scandal, which recently stood trial for the first time in Germany for having equipped its cars with a software capable of biasing the anti-pollution tests. Producers invest a great deal of energy in sapping the will of public authorities to legislate on tobacco. Switzerland is not spared these ‘dissuasive efforts’. In such a small country, where the industry plays a significant role in the economy, there are close links between companies and politicians. A recent documentary on the programme Temps Présent [Swiss television] depicted the role played by the AWMO organisation (alliance of companies for a balanced preventative policy). Its members currently include 12 senators and 40 members of parliament – nearly a fifth of all Swiss parliamentarians – who campaign against the strengthening of anti-smoking measures. «Attention, ce parlement peut nuire à votre santé». Temps Présent, September 2018. There are therefore many politicians who embrace the views of cigarette companies. Some are easy to identify, such as Gregor Rutz, national councillor for the Swiss People’s Party and chair of the association of Swiss tobacco companies. Others only have indirect links with the sector but resist the strengthening of preventative policies, such as Hans-Ulrich Bigler, director of USAM, the Swiss union of arts and professions. Some former members of parliament have later been employed by these companies, such as Sylvie Perrin Jaquet from Neuchâtel, who displays her role as consultant to Philip Morris International on her website and who has a badge providing her with access to parliament. In 2012, when he was an MP in Berne, Laurent Favre fought the adoption of new 10-1-10 measures taken by the European Union in Switzerland; he is now president of the Council of States in Neuchâtel, the canton where Philip Morris International has its headquarters and factory. The 8th session of the Conference of the Parties to the WHO Framework Convention for Tobacco Control (FCTC) was held last October. The meeting, known as COP8, sought to strengthen controls and traceability in the tobacco industry, as well as to ban advertising. Behind the scenes, the Swiss representative to the conference was attempting to go unnoticed: Berne had not ratified the document and was unwilling to make any compromises. Yet the WTO’s figures are shocking: tobacco kills one in two smokers, and each year, seven million people die of smoking. It is up to the parliament to change the status quo. 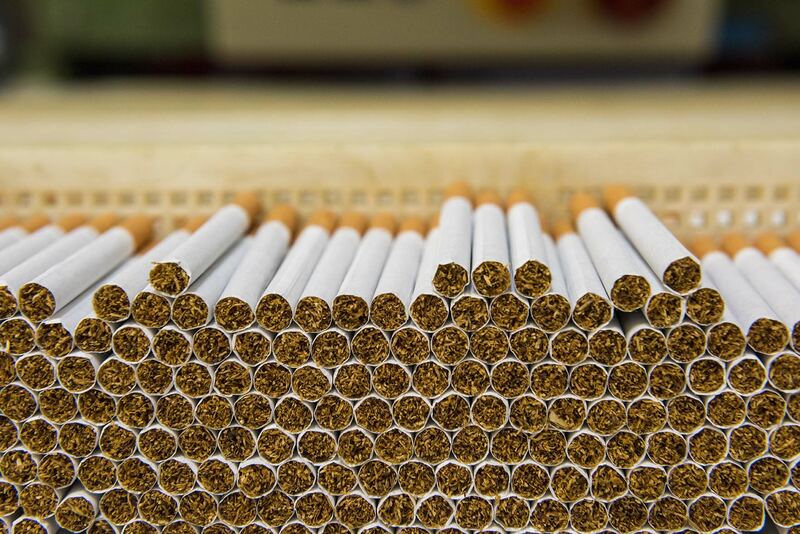 MPs are currently debating the new law on tobacco, which was expected to limit advertising of cigarettes. According to information we obtained pertaining to the preliminary draft, the opposite could end up happening: plain packaging will fall by the wayside, as will the restriction on advertising. Swiss MPs must spare no time in opposing this draft and putting an end to the schizophrenia of a country that spends CHF 1.7 billion per year to treat patients suffering from illnesses caused by tobacco while at the same time holding the door open to a lethal industry. A country that funds anti-smoking programmes in Tanzania while allowing Philip Morris International, British American Tobacco and Japan Tobacco International to produce highly toxic cigarettes, destined to be smoked elsewhere, on its soil. Shedding light on hidden facts can change the world: this strong belief led Public Eye to set up the Investigation Award on the occasion of its 50th birthday to support the work of journalists or NGOs that investigate the practices of Swiss companies and their harmful ramifications on developing or emerging countries. A prestigious jury selected two projects from 55 proposals submitted from over 20 countries. They received crowdfunding – over 300 people contributed to our participative funding-raising campaign. They enabled Marie Maurisse to carry out this investigation and allowed Nicola Mulinaris, from the NGO Shipbreaking Platform and Gie Goris of MO* Magazine (Belgium) to shed light on the role of Swiss companies in the uncontrolled dismantling of ships in southern Asia. A very big thanks to them! Public Eye fights against injustice that has a significant link to Switzerland and calls for human rights to be respected around the world. Through our research, advocacy and campaigning, we express the voice of close to 25,000 members in calling for Switzerland to act responsibly. An investigation by Marie Maurisse, independent investigative journalist. 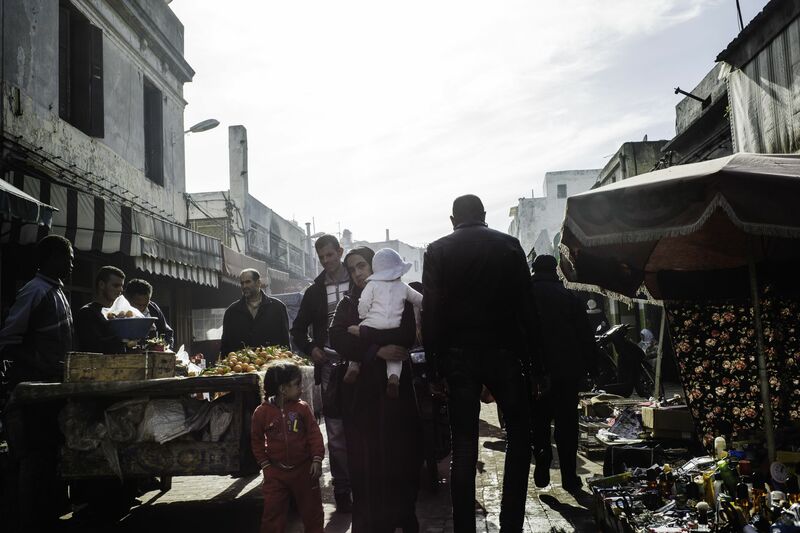 The investigation was carried out in collaboration with Théa Ollivier, journalist based in Casablanca. English translation: Kim Park. Photos: Louis Witter/Hans Lucas, Mark Henley/Panos Pictures, Feisal Omar/Reuters, Marie Maurisse, Sébastien Monachon. Infographic: opak.cc. Video: Maxime Ferréol & Géraldine Viret, Public Eye. Web design: Floriane Fischer, Public Eye.